← Off to base camp…. 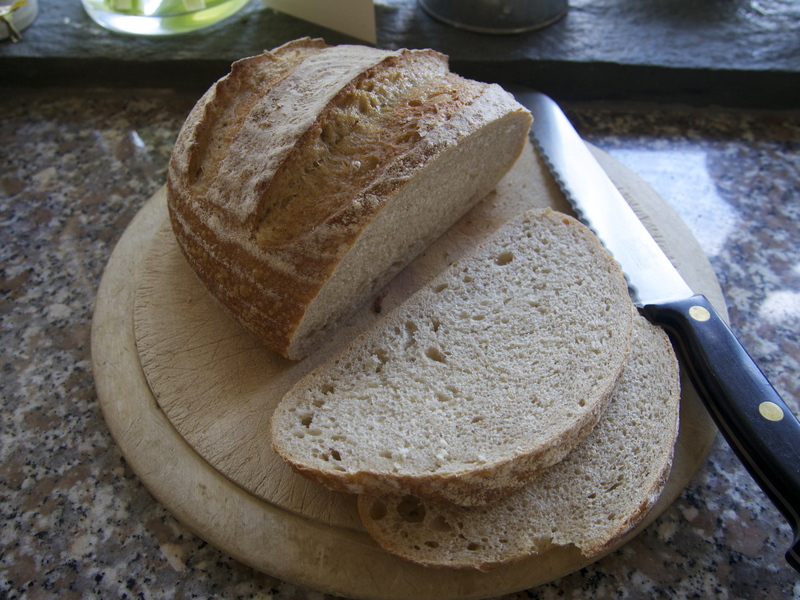 Now I know why I’m working on Saffron Magazine – for the best sourdough bread ever…. By happy circumstance three such people have come together in Kent to produce a new food magazine, Saffron. On Wednesday we had a planning meeting to discuss features for Issue 2, due out midsummer 2013. After an enjoyably productive session, designer and photographer Bill, at whose house we met, casually handed me a loaf of the bread he had made overnight to take away with me – the perfect goodie bag in a crust. 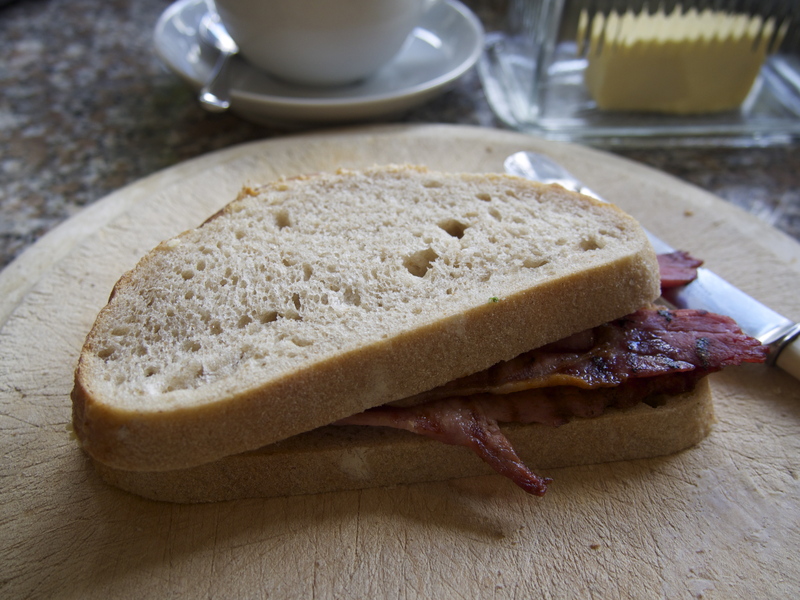 Today it made one of the finest bacon sandwiches ever. Now I have to know how to make that wonderful bread – sourdough, a two day process, and with a crumb, fine crust and flavour to die for. I will be pinning Bill down in the very near future, am maybe planning to keep him locked in his kitchen until he divulges his secrets to me. Then I will share this information with all of you through the pages of Saffron (hopefully with video footage to run alongside) – and great bread could be yours. What’s more, Bill knows a lot about another personal passion – pig keeping. Could be the ideal man to keep me in bacon sandwiches in the style to which I want to become accustomed. It’s got the makings of a truly great working relationship. This entry was posted in Comment, Saffron Magazine and tagged pigs, saffron magazine, Sour dough bread. Bookmark the permalink. 1 Response to Now I know why I’m working on Saffron Magazine – for the best sourdough bread ever….